Ned’s Declassified School Survival Guide is an American live action sitcom debuted on Nickelodeon on September 12, 2004. 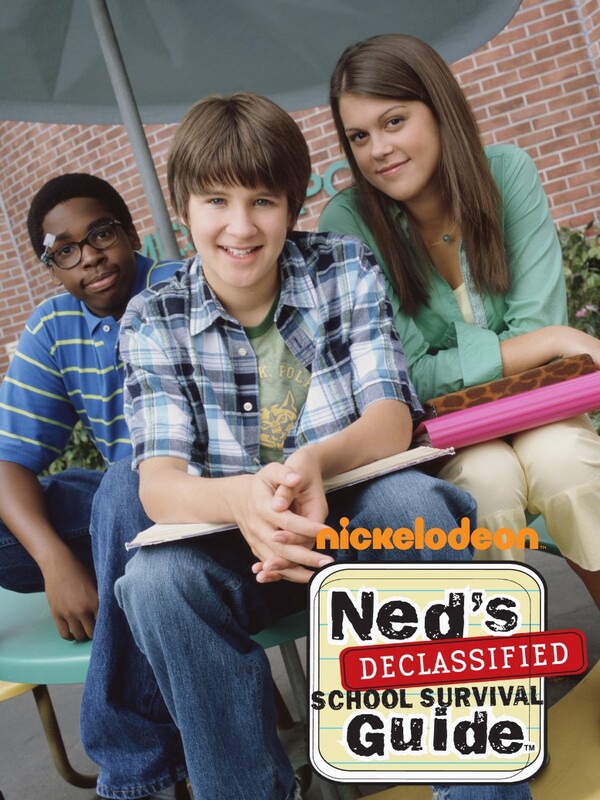 The show follows the lives of Ned Bigby, Jennifer “Moze” Mosely, and Simon “Cookie” Nelson-Cook. The title of TV show uses two fonts: the “Declassified” part is set in Base 12 Serif by Zuzana Licko and other text is in Frankie from Type-Ø-Tones. If you do not want to download and install the font but just like to create simple text or logos using Ned’s Declassified Font, just use the text generator below. The following tool will convert your entered text into images using Ned’s Declassified Font, and then you can right-click on the image to save it or click on the "EMBED" button to get links to embed images on the web.